We sometimes have a support group run by and for LGBTQIA* autistic people. The date of the next group is to be confirmed (as of March 2018). At previous meetings, we have discussed Pride events and coming out. 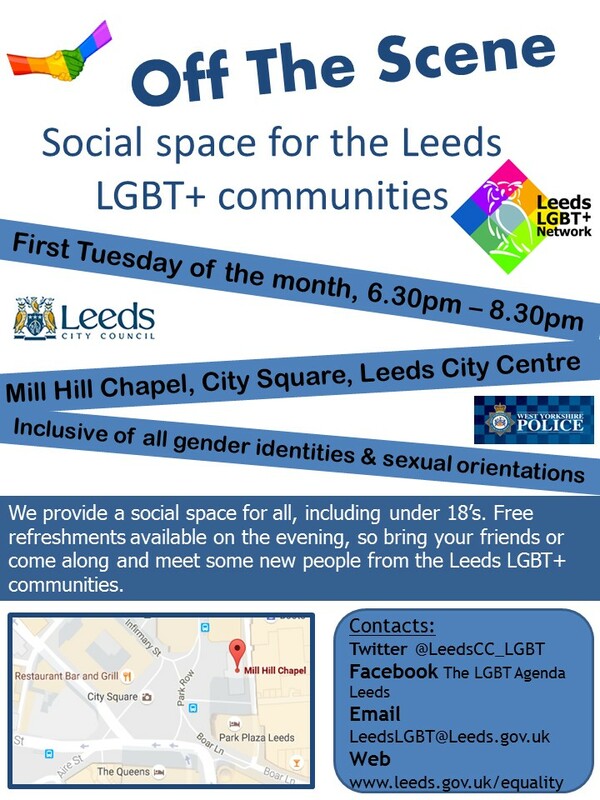 Off The Scene is a quiet social event that meets on the first Tuesday of the month at Mill Hill Chapel in Leeds City Centre. 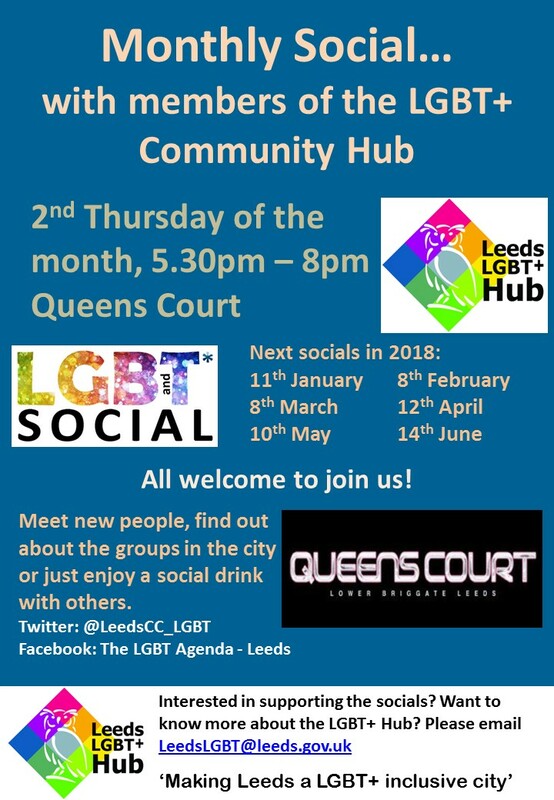 There is also a monthly social on the second Thursday of each month at Queens Court on New Briggate. Click on the posters below for more info. 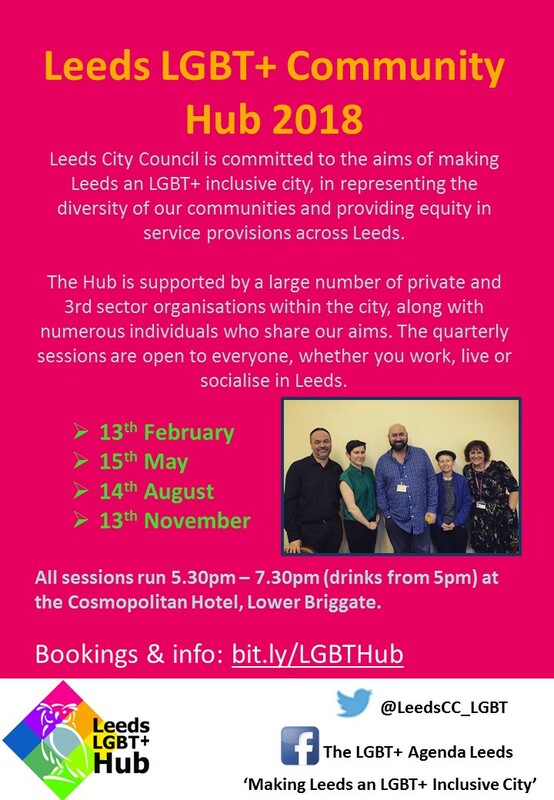 People in Action run a weekly group for LGBTQIA* people who are autistic and/or have a learning disability on Tuesday evenings from 6:30pm to 9pm. Visit http://peopleinaction.org.uk/lgbt/ for further information.